PT Unilever Indonesia Terbuka. The Group's principal activities are manufacturing and distributing consumer goods including soaps, detergents, margarine, sauces, snacks, dairy based foods, ice cream, tea based beverages, cosmetic products and fruit juice. Its brands include Pepsodent, Pond's, Lifebouy, Sunsilk, Clear, Vaseline, Rinso, Surf, Blue Band, Royco, Dove, Lux, Sunlight, Taro, Bango, Molto, Rexona, Lipton tea, Paddle Pop and Wall's. The Group's factories are located in Cikarang and Surabaya. The incumbent will assist the Process Development Manager in innovation implementation and Supply Chain improvement activities. This includes innovation on manufacturing methods, process, and plant/ equipment, for new formulations and to develop solutions for manufacturing issues. It also supports loss reduction or capacity increase activities led by Supply Chain. The jobholder will be responsible to help managing the local Supply Chain support program in collaboration with other relevant parties to ensure implementation of global/regional innovation on local level. 2. Min 3 years experience in similar job. Assisting the Factory Engineering Mgr in handling manufaturing machinery trouble shooting in that Factory. - Minimal S1, preferable from Technical Background i.e. - Min 1 year of working experience in Consumer Product or Chemical Factory or Engineering Consultant/ Contractor as Electrical Engineer. - Skillful in Electric Power Distribution Engineering, Plant Maintenance Concept, Factory Automation Architecture Knowledge, Field Instrumentation, PLC/PCS/DCS, Safety and Electrical Safety Device in Electrical Engineering, Measurement Tools, Project Management, Chemical Processing, and Packing Machines. You can also send your application letter, CV and completed application form to recruitment.indonesia@unilever.com. Please mention specific field that you are interested in the e-mail subject. 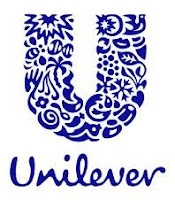 Please be advised that it is Unilever standard policy that we only contact sucessful candidates at CV screening stage.